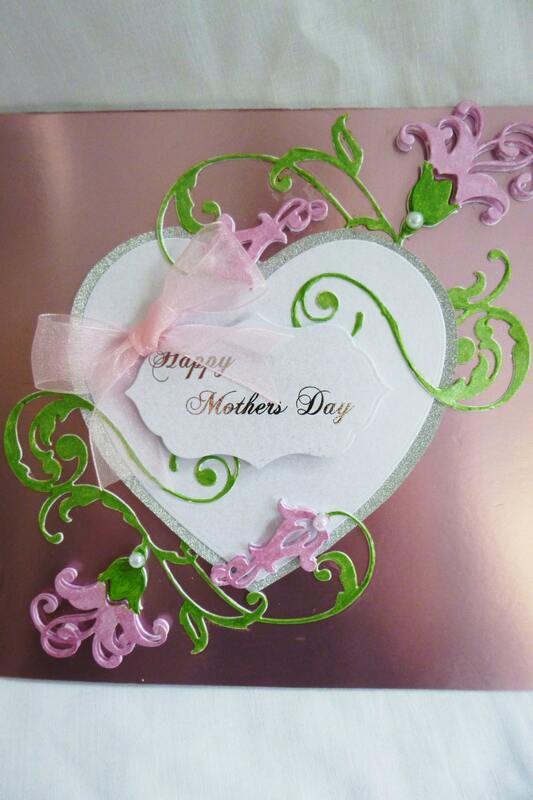 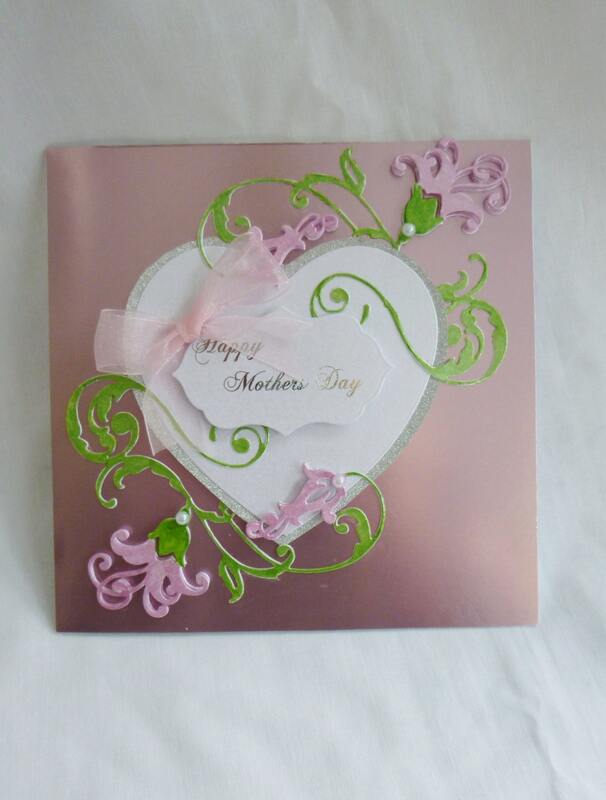 Mothers day card, made from white base card, with pink metallic card, in the centre is a silver glitter heart with a white heart on the top, There are 2 vines with pink flowers around the hearts, each flower has a pearl embellishment. 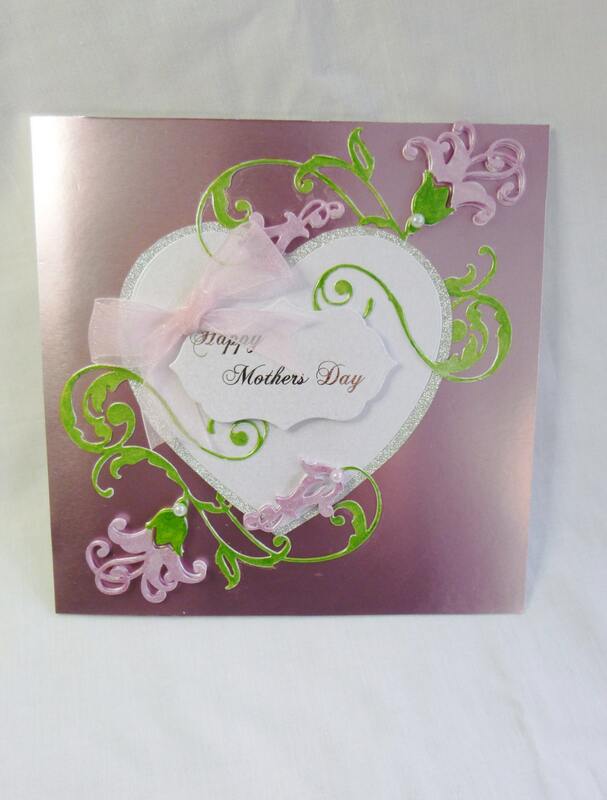 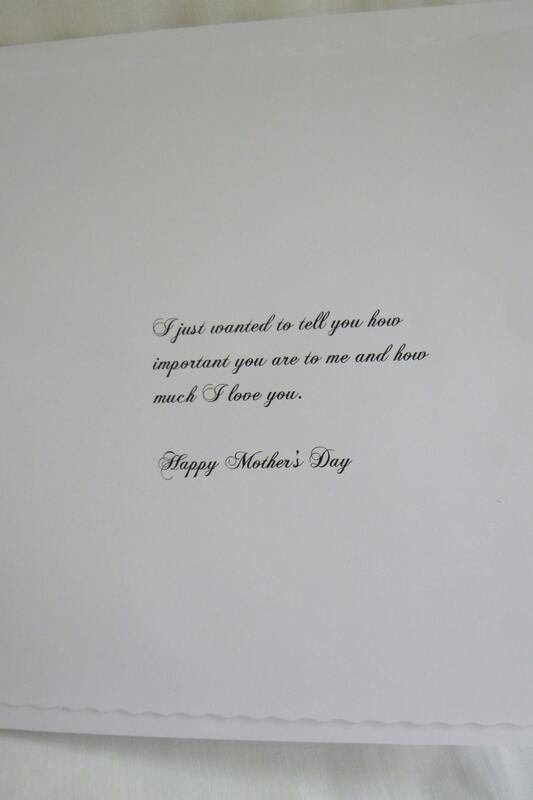 in the centre of the heart is a die cut sentiment with laser silver writing which says, 'Happy Mothers Day'. In the corner there is a large pink organza ribbon bow. 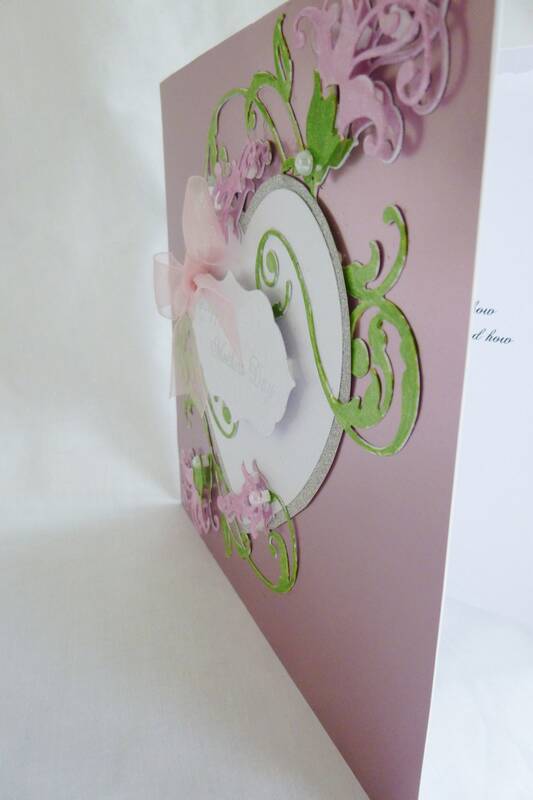 The card measures 7 inch x 7 inch, 18 cm x 18 cm approx, includes a white envelope.